Chris comes from a professional career in the sport having reached a high of World No. 33 on the PSA World Tour. He brings a wealth of elite experience with in and an eye for fine detail. Chris helps deliver on the England Potential squads as Head Coach. Chris also oversees the 4 Northern Aspire regions (North West, North East, East Midlands, West Midlands) headed up by the Aspire Head Coaches, whilst also delivering up the pathway on England Development squads, thus ensuring transfer of knowledge and consistency of messages up and down the pathway. Outside of delivery on the pathway Chris is Head Coach at the Solihull Arden Club, in Warwickshire. Adam had a successful junior career reaching No. 4 in England. Following this he went on to study a Sport Management Degree in Sheffield before playing on the PSA World Tour and taking up the role of Head Coach at Berkhamsted Tennis and Squash Coach, where he still is based full time. Adam helps deliver on the England Potential squads as Head Coach. Adam also oversees the 4 Southern Aspire regions (East, South East, South West, South) headed up by the Aspire Head Coaches, whilst also delivering up the pathway on England Development squads, thus ensuring transfer of knowledge and consistency of messages up and down the pathway. 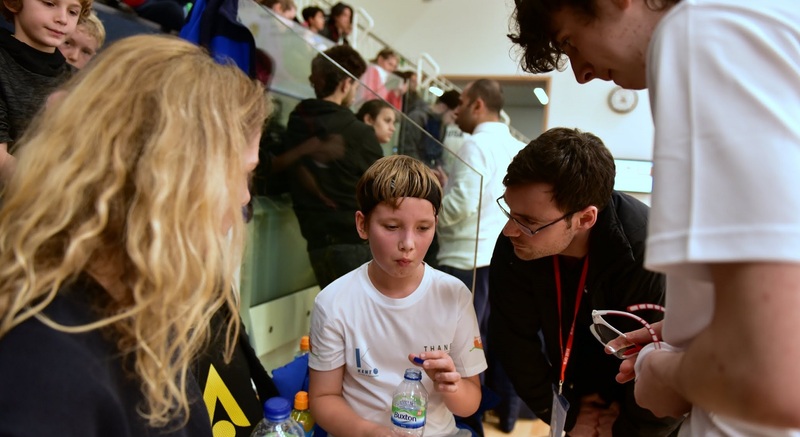 Outside of the delivery on the junior talent pathway Adam also closely works with a number of players out of Berkhamsted, such as Alison Waters, and Adrian Waller. Phil is the full time Head Coach at the Wimbledon Rackets and Fitness Club where he has headed up over a number of years a successful junior programme. He brings with him a wealth of experience working on the programme over a number of years. Phil heads up the Aspire programme for the South East and also links up the pathway onto England Potential Squads helping to develop the next generation of players in the region. Tim is the full time Head Coach at the Lee on Solent Squash and Tennis Club where he has had over a number of years a lot of junior success. He brings with him a wealth of experience working on the programme over a number of years. Tim heads up the Aspire programme for the South and also links up the pathway onto England Potential Squads helping to develop the next generation of players in the region. Ian is the full time Head Coach at the Millfield School where he has headed up over a number of years a successful programme bring through players such as Marwan and Mohammed El Shorbaggy. He brings with him a wealth of experience working on the programme over a number of years. Ian heads up the Aspire programme for the South West and also links up the pathway onto England Potential Squads helping to develop the next generation of players in the region. Kirsty is the full time Head Coach at the Leeds Beckett University where she works across the sport in higher education. She brings with her a wealth of experience from numerous years working on the programme and from a background growing up in the hugely successful Pontefract Squash and Leisure Club programme. Kirsty heads up the Aspire programme for the North West and also links up the pathway onto England Potential Squads helping to develop the next generation of players in the region. Andy is the full time Head Coach at the Hull University where he has works in higher education and working with players such as Fiona Moverley. He brings with him a wealth of experience working on the programme over a number of years. Andy heads up the Aspire programme for the North East and also links up the pathway onto England Potential Squads helping to develop the next generation of players in the region. Dan a full time coach and Head Coach at Peterborough Squash Club. He also works across Uppingham School. Dan heads up the Aspire programme for the East Mids and also links up the pathway onto England Potential Squads helping to develop the next generation of players in the region. Andy is the current head coach at Beaconsfield Squash Club. Andy heads up the Aspire programme for the East and also links up the pathway onto England Potential Squads helping to develop the next generation of players in the region. An ex British Junior Champion and ex world number 172 Chris has experience with high level junior squash and the transition from successful junior to professional player. Chris heads up the Aspire programme for the West Midlands and also links up the pathway onto England Potential Squads helping to develop the next generation of players in the region.